How often have you denied yourself something, such as a new outfit or a beauty product, because you felt you just didn’t need it? Or maybe you felt you didn’t deserve it. Or maybe you’d feel guilty for having something like it because you consider it a frivolous expense. I know I’ve felt that way many, many times! The other day, I was talking with another staff member about an ortho referral case. The patient is young and beautiful and would benefit both aesthetically and functionally from full orthodontia. I asked why she wasn’t jumping at an ortho referral. The referral process is easy and the patient has adult ortho coverage with her dental insurance plan. It seemed like an easy “yes” or at least an easy “let me find out more information” case. But we don’t always prioritize things like orthodontia for ourselves as adults. Yet, we’d jump at the chance to get our kids started with ortho. Cheesing it up with two of my three kids. As a wife and mother, I feel I am always putting the needs of others ahead of my own. I do this freely and almost always without conscious thought, not expecting accolades or even simple thanks. It’s just what I do. I’ve talked with many other moms about this fact and we all seem to feel the same. The resounding parental attitude seems to be “I value you more than I value myself.” While this is an incredibly noble way to live your life, it doesn’t always serve us best. Over the years at the dental office, we have heard many reasons why patients, women especially, decline elective procedures like ortho or aesthetic dental work. 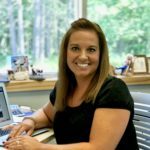 These reasons range from their kids needing new ice skates to husbands wanting a new boat. While those things are unquestionably valuable, your teeth, your smile and your self-worth are also extremely valuable. You are worth it! Yes, your son will use his new skates, probably many hours every week, but you will use your teeth all day, every day for the rest of your life. So, while you are fully supportive of your husband going on an expensive hunting trip for a week, you aren’t willing to spend money on yourself. I get it! It’s that pesky guilt again. But remember… You are worth it! Yes, finances play a huge role in treatment acceptance. There are ways to ease that burden, though. We offer an interest-free option for dental treatment through a financing company called Care Credit. The length of the loan is determined on how much money is borrowed and the interest is paid by us. It’s a great payment option, especially for larger procedures such as crowns or Invisalign. If you’d like more info on Care Credit, just stop by or call our office. As dental care providers, it is our job to look out for you. We are here to provide you with the very best dental care we possibly can. We don’t recommend treatment willy-nilly or to pad our production numbers. Any treatment we recommend is done with your best interests at heart, because we truly feel you would benefit from the treatment either functionally, aesthetically or both. We get to see the ways certain elective procedures can change lives, giving patients confidence and smiles they never dreamed they could achieve. Before veneers were placed on two teeth. 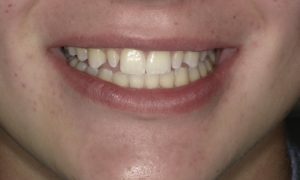 After veneers were placed on two teeth. Let’s face it – we live in a world that values beauty. Straight, white teeth are what a lot of people want. So how do you get them? Well, it means investing in yourself. Tooth whitening is an easy way to improve your smile for minimal cost. We recommend a professional kit to achieve the best results. It’s amazing what a brighter, whiter smile can do for your confidence! If you’ve kicked around whitening your teeth, talk to us about it at your next appointment. We’d be happy to discuss it with you because… Guess what? You are worth it! 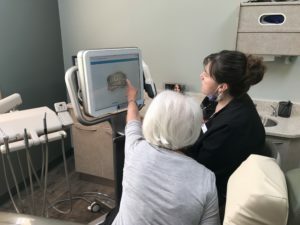 Lisa with a patient during an Invisalign consultation. Invisalign can change lives. I know that sounds silly, but it is so true! Crooked teeth, even very mild cases, can cause patients to feel less confident in themselves. Oftentimes the Invisalign consultations we see are ortho relapse cases, which means they had ortho as kids and their teeth shifted in adulthood. 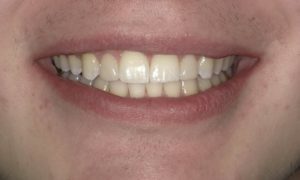 Most commonly, these patients didn’t wear their retainers as adults and their teeth moved slowly out of line. By offering Invisalign to our patients, we can give them an affordable option for straight teeth, the ability to achieve their results at their own pace, and without the traditional metal orthodontic brackets. Invisalign’s success is almost completely patient controlled. The patients who follow instructions and wear their aligners as prescribed have fantastic results and are always so glad they invested the money into their smiles. We haven’t had a patient yet who doesn’t feel the investment was worth it. We hate to brag, but Maria looks and feels fantastic! 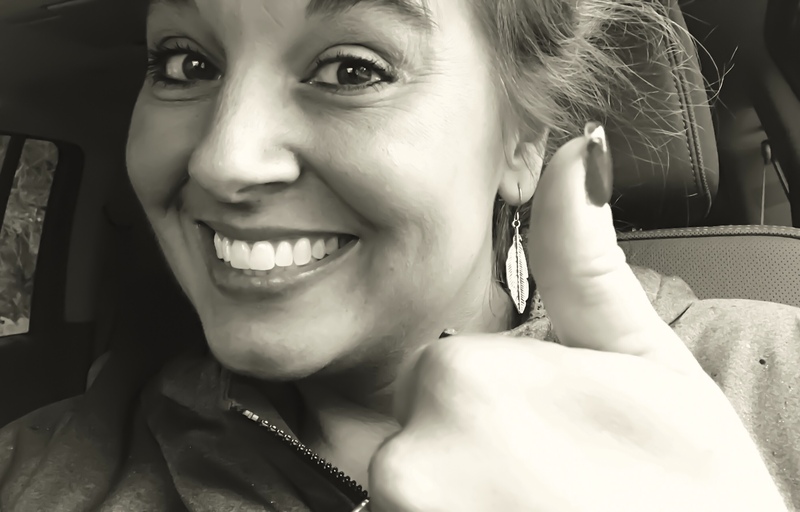 We are so happy she invested in herself – she is worth it! When you feel good about yourself, other people notice. 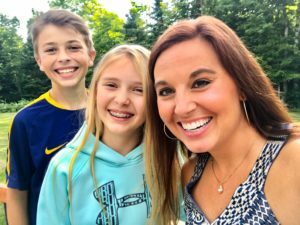 I have found that my kids even notice my confidence in my smile. Raising two daughters and a son, I definitely want to instill confidence and self worth in them. My kids know when I feel shy or self-conscious. They also know when I feel like I can take on the world. Where do our kids learn those important qualities? From us! Confidence does come from within, but it’s also often emulated by a person’s loved ones. Moms and dads, show your kids you value yourself, that you are worth it. Don’t always take the back burner. Take the leap. Do something for yourself. Come in for a free Invisalign consultation. Talk to us about whitening your teeth. Let us know if there is something you’d like to improve with your teeth or your smile. Because, after all, you truly are worth it!